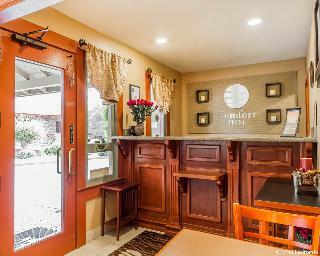 The hotel is conveniently located in the relaxing resort area of Monterey. The hotel is within walking distance from the Monterey Fairgrounds and the Jazz Festival area. Popular nearby attractions include Fisherman's Wharf, Monterey Bay Aquarium and Pebble Beach. This Monterey hotel provides easy access to the highway and airport. The Monterey Peninsula Airport is conveniently located less than 8 km away. The hotel is also close to a large selection of restaurants and specialty shops. Hotel amenities include free continental breakfast served daily and ample free parking. Business travellers will appreciate wireless Internet access and competitive corporate rates. All spacious guest rooms are fully-equipped as standard featuring cable television, microwaves and iron sets. Guests of this Monterey hotel can also enjoy the outdoor heated pool. 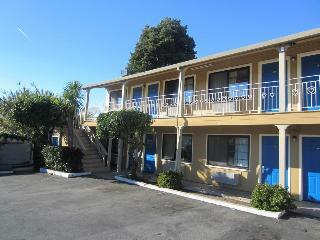 This hotel enjoys a great location in Monterey, within easy access of a number of attractions in the area. 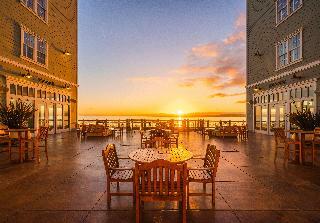 The hotel is situated within easy access of the Monterey Conference Centre and Old Fisherman's Wharf. Guests can enjoy a host of recreational activities in the area, as well as a myriad of shopping, dining and entertainment venues. This delightful hotel greets guests with charm and style, welcoming them into the relaxing surroundings of the interior. The guest rooms are beautifully appointed, offering a peaceful setting in which to completely relax and unwind. The hotel offers a range of excellent facilities, meeting the needs of business and leisure travellers alike. Located on sprawling, tree-covered grounds, the Comfort InnÂ® Monterey Peninsula Airport provides easy access to many local attractions and points of interest, including Monterey Bay Aquarium and Mazda Raceway Laguna Seca. 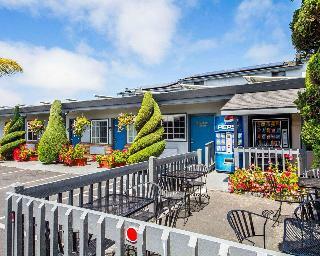 This Monterey, CA hotel is just minutes from Monterey Peninsula Airport. Visit Old Fisherman's Wharf on Monterey Harbor, and check out the sea otters, seals and other marine life. Enjoy a day on the water, deep-sea fishing, sailing and whale watching. Nearby, Cannery Row offers a scenic, waterfront locale for dining and shopping with 84 retail stores and dozens of eateries. Your Morning Breakfast is full of hot and delicious options, making breakfast at the Comfort Inn Monterey Peninsula Airport the perfect way to start your day. Enjoy our free hot breakfast featuring eggs, meat, yogurt, fresh fruit, cereal and more, including your choice of hot waffle flavors. The Hilton Garden Inn Monterey hotel in California sits nestled among majestic Monterey Pines and mature Live Oaks in a dramatic and colorful garden setting. The Hilton Garden Inn Monterey is conveniently located near California's scenic Highway 1, 1/2 a mile from the beautiful beaches of Monterey Bay, and less than three miles from Monterey Peninsula Airport. Unless notified prior to, or at check-in, a one night penalty will apply to departures that occur earlier than the date specified on the original reservation.